In 1992 Manfred Rehorst laid the foundation for Messebau Rehorst in Reinersdorf a district of Markt Weisendorf. 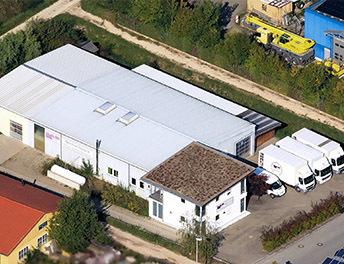 Soon the rented facilities became too small and in 1996 the current company headquarters were built in the commercial area of Weisendorf. 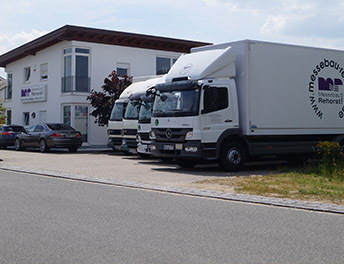 The steady growth and development lead to the conversion to the Messebau Rehorst GmbH (limited). After an expansion of the current building in 2008 as well as the construction of an additional storage facility in 2010 we are tightly rooted with our region. 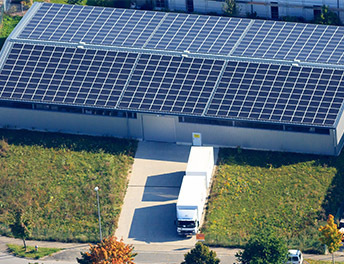 With our own Production and Assembly crew as well as our own vehicle fleet, we are realizing exhibition appearances in Germany and all over Europe. Many companies have learned to appreciate our full-service and I would be happy to welcome you amongst those some day. Your wishes and our ideas, in combination with our more then 20 years of experience, are the basis for your successful exhibition concept. See us, not only as an external contractor, but as a part of your team. What was drafted by our CAD department, is now realized by our technicians. We are masters at the decathlon of craftsmanship. Due to our modern transport fleet and our own storage facilities, we are independent and reliable.